She was also in love with a donkey. We would pass this particular paddock on one of our rides, and I never knew whether to be amused or furious when she would literally dash across the road to his field, and stand there talking to her long-eared friend, and taking absolutely no notice of my orders to her to "walk on". One day my friend and I talked about what would happen if she was allowed to run with the donkey. "She’d have a mule, ” my friend said. "Yuk," I shuddered. "A mule!" Not that I knew much about them, but I knew they were stubborn, and I knew they looked, well, a bit peculiar - beyond that I didn’t ever really think about them much at all. But that’s all changed now, thanks to Ann Walker’s splendid book, Make Mine a Mule, the remarkable true story of her twenty-eight year friendship with Pepita - a beautiful, 12 hand high mule with the largest brown eyes you ever saw. Walker is also from a rural English background, and when she and her husband - who had owned ponies and a donkey in the UK - emigrated to Tasmania, they decided to continue their interest in donkeys, little realising that they were moving to a state where, at the time, there were none. As it turned out, Ann was right - but not before she found out to her cost that, as Ogden Nash once wrote, ‘In the world of Mules, there are no Rules’. Quiet Pepita certainly was, but mules, seemingly endowed with much more brain than either horse or donkey, need to have confidence in their owners before they will allow themselves to be persuaded to do something. But the amusing to read, although no doubt less amusing to experience, trials and tribulations in the end created an extraordinary bond between Ann, her family and Pepita. After a somewhat rocky start, Pepita even became a Pony Club mount, taking part in all Pony Club activities, including jumping, which she was remarkably good at - always clearing the jump by just a few centimetres - another mule trait, as Ann discovered on her mule journey. 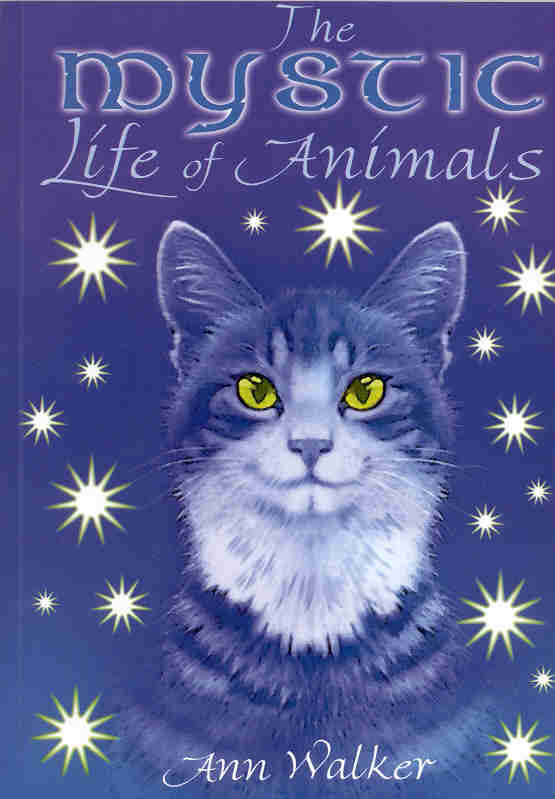 The wonderful stories in this book will delight, entertain and enthral animal lovers everywhere. There’s the story of Pepita’s first mule class, when she realised it wasn’t her beloved Ann behind the long reins, and dashed the length of the ring braying the entire way, to stand beside her; or how Pepita saved Ann’s pony, Peppi, one day when Peppi fell down a steep bank, and in her anxiety was struggling so much she was in danger of falling into a ravine. Ann describes how Pepita stood there and ‘talked’ Peppi into becoming calm. Many years later Pepita saved Ann herself from a ferocious ram that was about to charge into Ann with full force. Not that Pepita was always perfect - with her delightfully stubborn mule streak in evidence, Pepita would try and persuade Ann that she didn’t want to take a particular route by lifting a hind leg, and gently tapping Ann on the heel. If Ann persisted in her desire to go her way, Pepita would try once or twice more before reluctantly giving in. Cleverly written The Power Of The Cat is able to weave history and knowledge of the cat and cat breeds into stories of Ann's life. From the day they arrive into her life until well after their death all of Ann's cats have left an impression and meaning to their being. 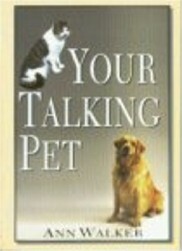 I highly recommend this book, even for the non cat lover. It is touching, moving and enlightening. Coloured photos leave you wanting to stroke and cuddle the feline friends and take one home. Loving and loyal, divine and devilish The Power Of The Cat has left me with a deep understanding and respect for the loving moggie. 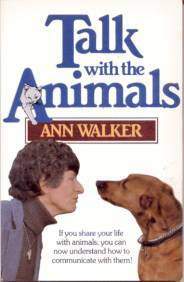 Animals, particularly pet animals, provide both companionship and comfort, however, Ann Walker believes they do more than that. She suggests they are in fact 'our teachers' and that once we rid ourselves of the concept of humans being superior to animals, this will become clear. She recommends listening rather than talking to animals, picking up their signals to know how they are really feeling. 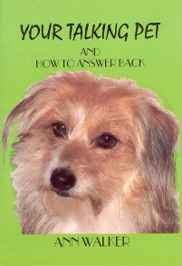 Exploring further the concepts first introduced by Ann in her successful book 'Talk With The Animals', Your Talking Pet will appeal to those who'd like to understand and communicate better with their pets. This book looks at the spiritual side of animals and our relationship with them and our responsibility to them as spiritual beings. "If we believe that the spirits of men live on after death, then we must also believe that the same thing happens to the spirits, or souls of animals. Presuming of course that we accept that animals have souls. If we define the soul as that divine spark within each person that makes he or she the individual, different from every other individual, then we must accept that animals too have a soul. Animals, like us, are individuals with as distinct personalities as people"
Ann explores the role of the cat through history, from being worshipped in Ancient Egypt to being cruelly treated and hated in Medieval Europe. 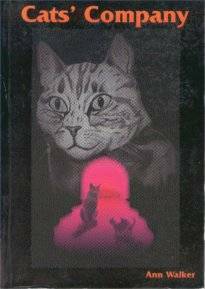 The book includes tales of cats who returned to their owners after death, both in spirit and reincarnated form. Stating that "The Ancient Celts believed that the eyes of a cat were windows through which humans could explore the inner world", we are given an extract from a grimoire giving guidance on how to attune yourself to your cat. Believing in the healing power of cats and our ability to think/talk with them, Ann shares many stories of the cats she has known and loved over the years. A fascinating and enthralling book for cat lovers everywhere. 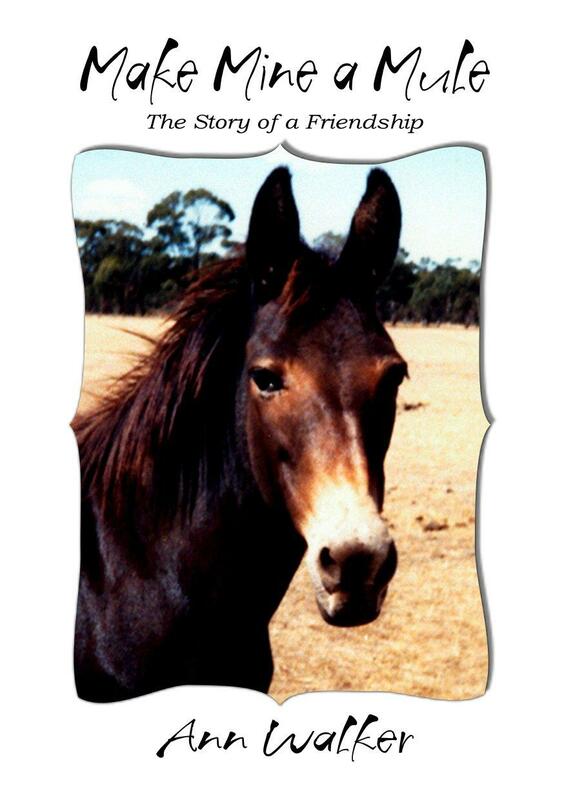 This is the story of the six donkeys from The Northern Territory who travelled across Australia to the North West Coast of Tasmania in the winter of 1969 to form the basis of the now famous Keysoe Donkey Stud. This enchanting little book will go straight to the heart of anyone who has ever loved or tamed a wild donkey. Talk with the animals - something we can all do! Now you can communicate better with your animals. All you need is a love and understanding of them as individuals and personalities in their own right, and a willingness to listen, watch and learn. Ann Walker shares with us a lifetime of experiences and shows how the rewards of 'getting through' to animals can be worthwhile - even spectacular. Her own affinity with donkeys, ponies, mules, cats, dogs and sheep has had some surprising results at times! This book explains why animals are valuable companions for young and old, for the sick and disabled, and as partners for the blind. 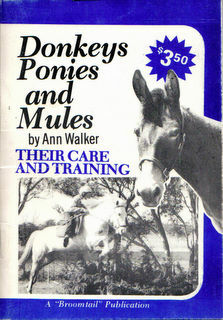 The care and training of donkeys, ponies and mules. Ann Walker's first acquaintance with donkeys was when she was about three years old and rode them on the holiday beaches in England. 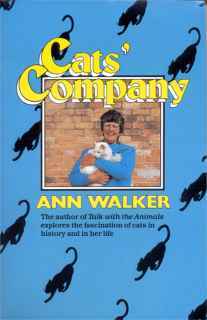 Animals have always played a major part in Ann's life, and for many years in England she bred and exibited pedigree cats and ran a small boarding cattery. 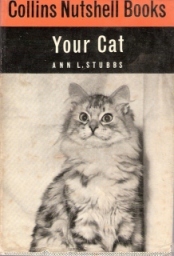 Guide To Cats is not only for the new owner or prospective purchaser of a pedigree kitten, but for all who own cats; whether aristocrats of the feline world or "Moggies" of no known parentage. Cats are fascinating creatures; a joy to look at and a delight to live with - they have a past rich with history and a future bright with promise - all these facets have been touched on here. You cannot know too much about your cat, for ownership of an animal involves a definite responsibility which cannot be fulfilled properly, under all circumstances, without a full understanding of the problems. This book is addressed both to those who are buying a cat for the first time and to those who have owned cats, but feel they want to know more about these animals. Begins with an investigation of the merits and demerits of pedigree and mongrel cats and continues with comprehensive discussions on how to handle a new kitten, what it should be fed and how it can be quickly and effectively house-trained. 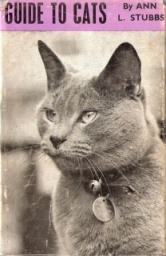 The author devotes the conclusion of her book to stray cats, the cat as hunter, companion and performer and a concise and amusing history of the cat through the ages, not forgetting the larger members of the cat family.